If you follow #tidylife on Instagram, you may have seen that I recently mentioned how I’m planning a kitchen makeover. I’m keeping our existing cabinets and painting them, but replacing worktops, the sink and tap, cupboard handles and I will freshen up the walls with some new paint and shelves. Fortunately, the units we have are wooden rather than MDF and they’re quite solid. In a pretty timeless shaker design, even though they’re about 15 years old, they haven’t dated too much. 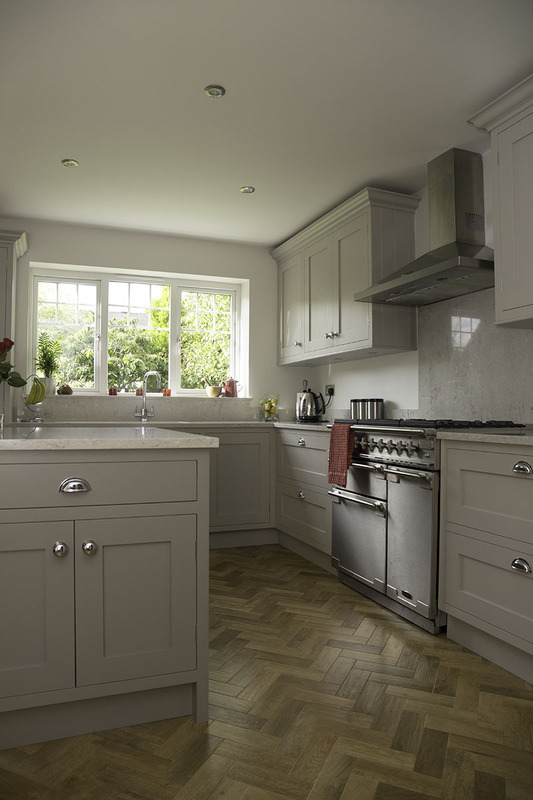 That’s the good thing about opting for a classic style when investing in a brand new kitchen as it’s not a room any of us tend to want to renovate too often. In an effort to inspire me with a new look for our kitchen, I’ve been busy researching ideas, colour palettes etc. 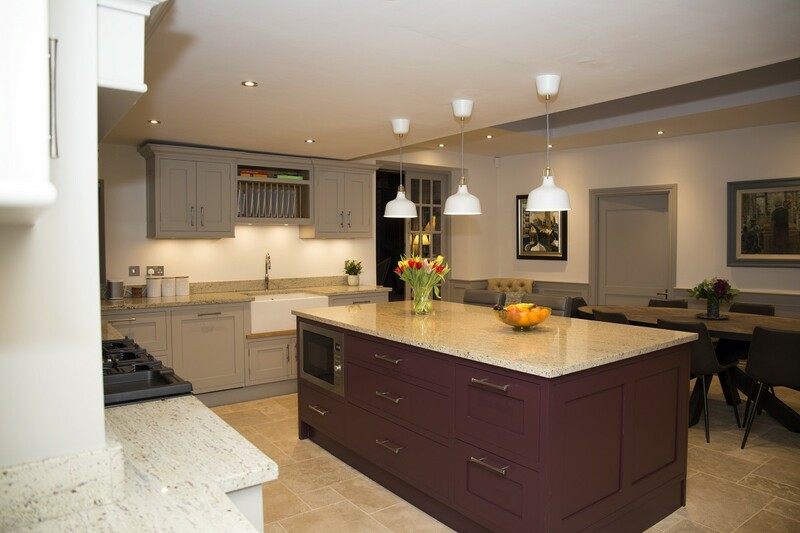 on various home interior blogs and quality kitchen websites, such as the luxury handmade designs found at Daniel Scott Kitchens in Cheshire. 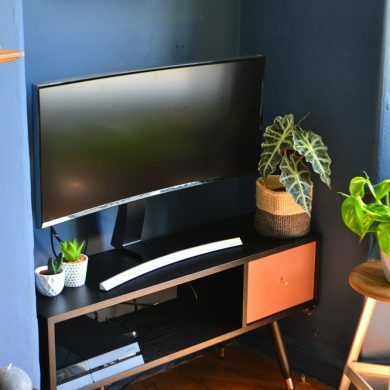 Showcasing real designs in stylish homes, rather than artificial room sets, I’ve picked out some of my favourites to share – I’m sure they will inspire those of you in the process of kitchen planning, too! This is a feature you either love or don’t. I definitely fall into the ‘love’ camp when it comes to exposed brick in a kitchen. I like to see a bit of rustic character and bricks perfectly add texture and warmth, making it more homely. 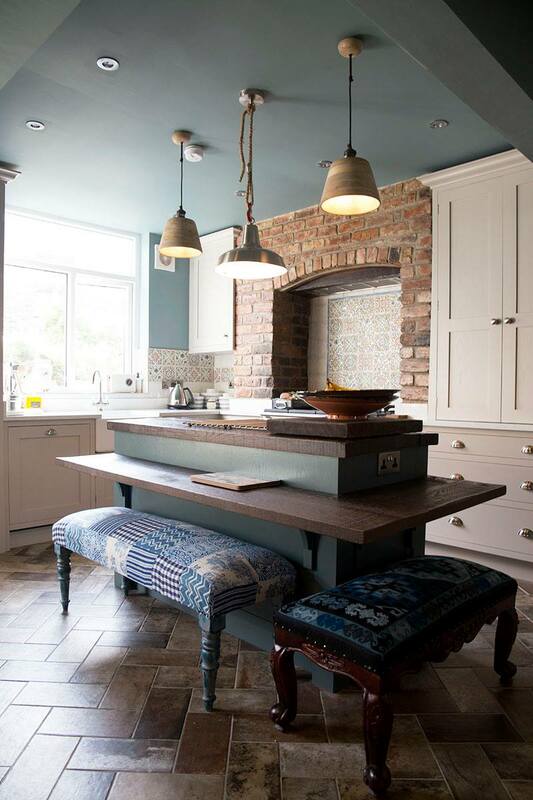 If I can work a little brickwork into my kitchen design, I will try. If you don’t have any real brick walls to expose, you can add ‘brick slips’ which will give you the same look. Basically, they are thinly sliced brick fronts which you fix to the walls like tiles. Again, the jury can be quite split on this, however I have to say I’m a fan of both! Concealed storage is streamlined, neat and tidy and keeps any clutter out of sight. Perfect, say, as a pantry to hide messy looking food packets, tins and containers from of view. However a few open shelves can look gorgeous when used to display your best china. Do remember that open shelves require a bit more dusting though! It’s all a matter of balance, in my opinion – feature a bit of both if you can. This is a really nice trend to give a kitchen a more unique look. 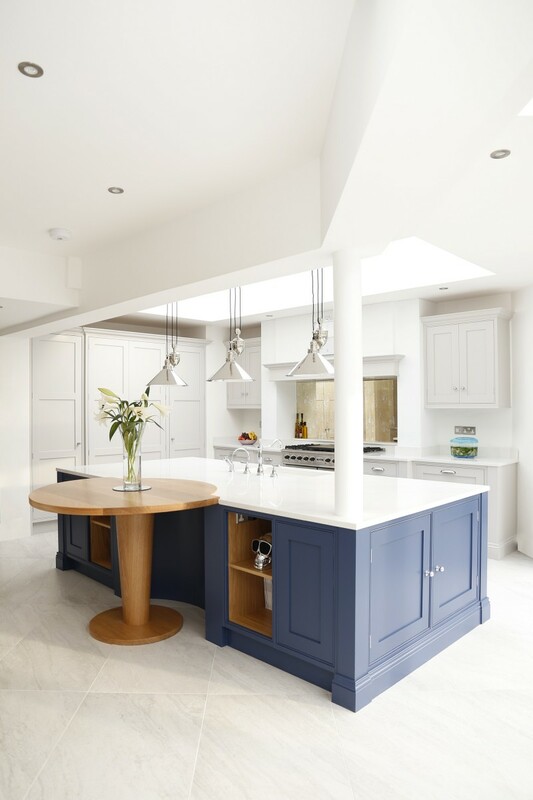 Quite often you’ll see the top cupboards painted a different colour to the lower ones, or all the cupboards in one uniform colour, but then a kitchen island painted in a contrasting shade, as in the example below. It adds a touch of vibrancy and energy to the space and gives it an individual look; it’s something I am considering for my kitchen units. Traditional looking parquet has had a major resurgence recently. 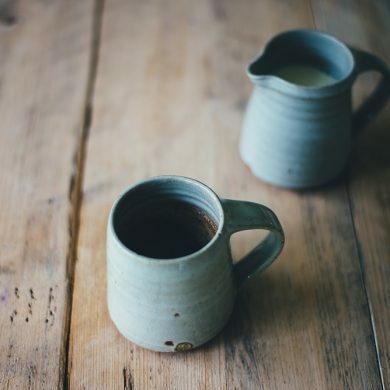 You can see why – its just so pleasing on the eye and the warmth of the wood underfoot so inviting. I’m not certain if I’ll be replacing our kitchen floor immediately, but when I do, parquet style flooring will be a big contender. 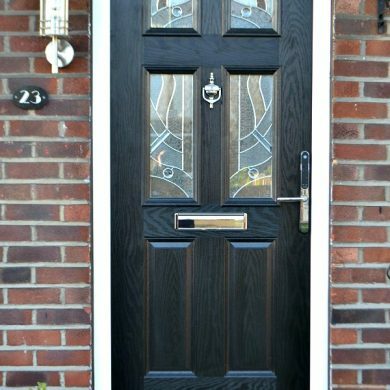 There are some great laminate and vinyl alternatives to real wood if you like the look but want something more affordable and hardwearing. Sadly this isn’t something I have the space for, but you bet if I did our kitchen would have an island. The bigger the better! 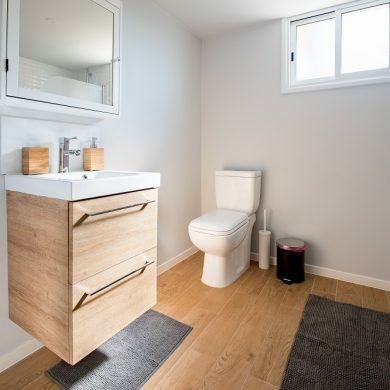 It’s a great spot to plumb in your sink or hob and create a large sociable focal point for people to gather around. 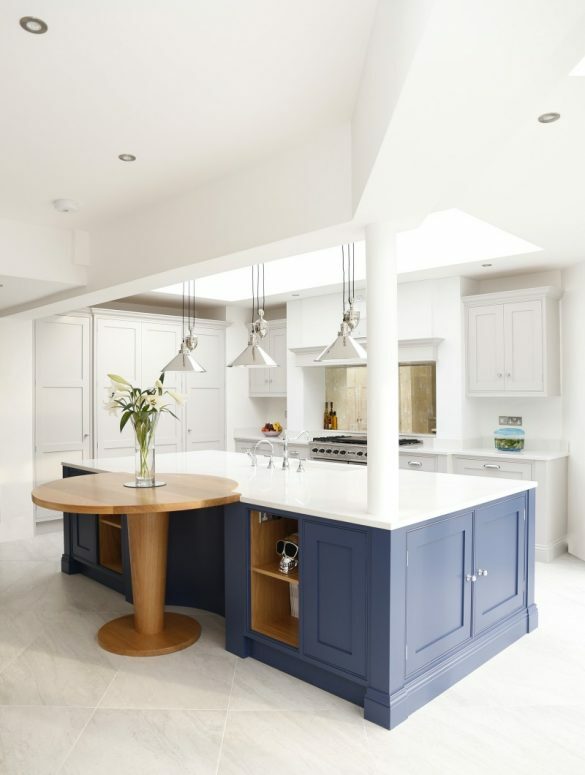 It’s also a clever design feature to semi-divide an open plan room, delineating the kitchen from the dining or living space. At the moment we only have boring spotlights in our kitchen. I would really like to bring in a feature light or two, to add an appealing, extra design detail. 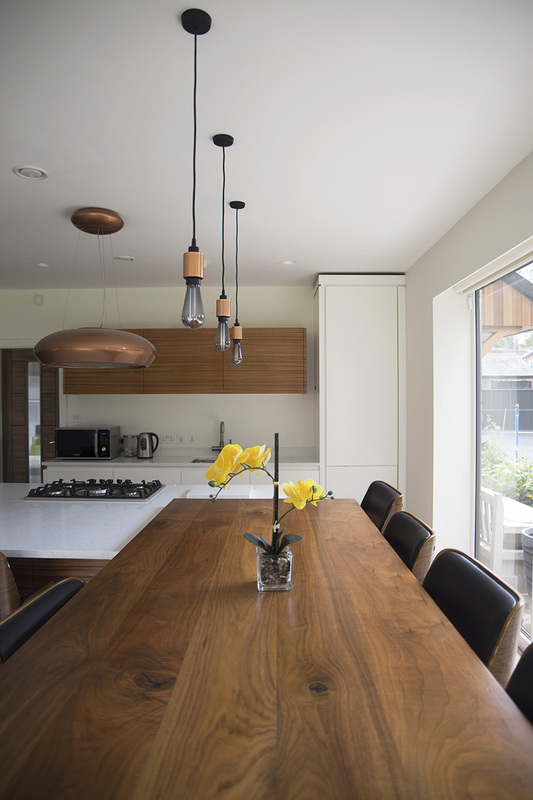 It’s important to carefully consider your lighting choices and general electrics when planning your kitchen. Make sure you work out how many plug sockets and switches you need and where you need task or ambient lighting etc. I hope this little round up has given you some food for thought. Keep an eye on the blog as my kitchen makeover starts to take shape shortly! 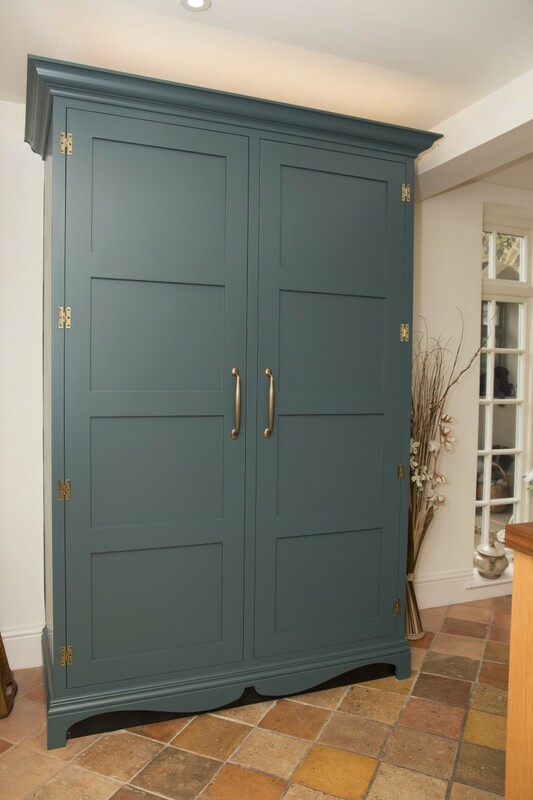 And to see more gorgeous designs from Daniel Scott Kitchens, you can head over to their website here.